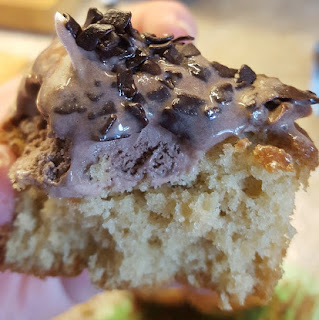 The Brick Castle: Num Noms Ice Cream Cupcakes Recipe (Cooking With Kids). 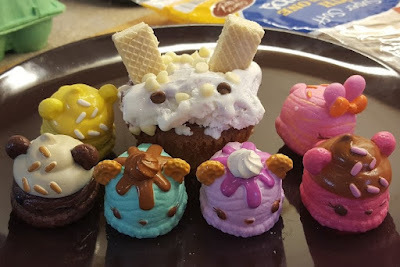 Num Noms Ice Cream Cupcakes Recipe (Cooking With Kids). 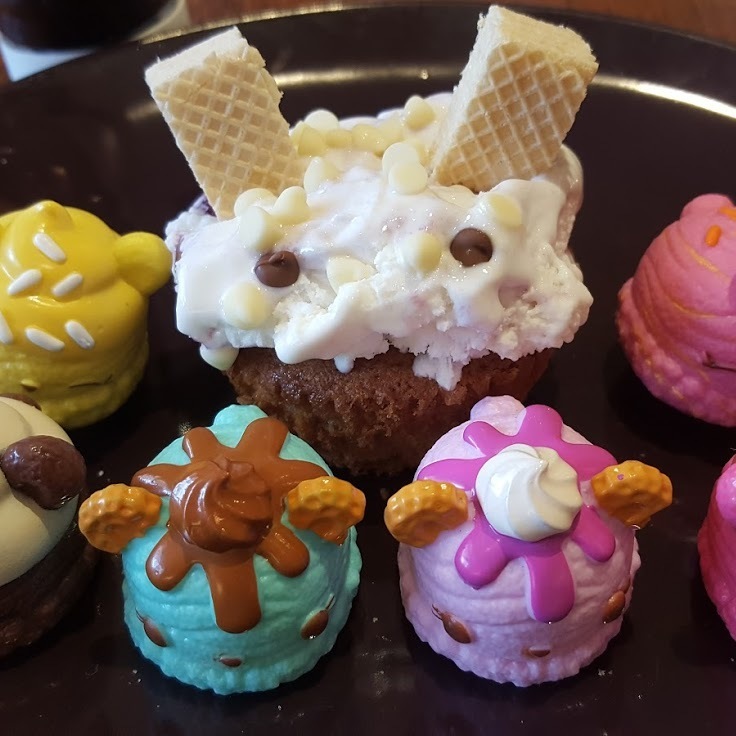 Num Noms all have a particular smell, and there are tons of different flavours (my review of the Num Noms Cupcake Party Pack). We actually bought several flavours of ice cream to try and recreate them, some were more successful than others! We started not with a cone, but with a cupcake. 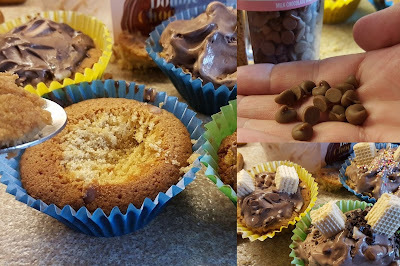 You could be fancy, adding fruit or flavourings, but as we're topping the cakes with loads of sugar, we made ours plain. The recipe is the standard sponge I generally use, and it is ridiculously simple and reliable. 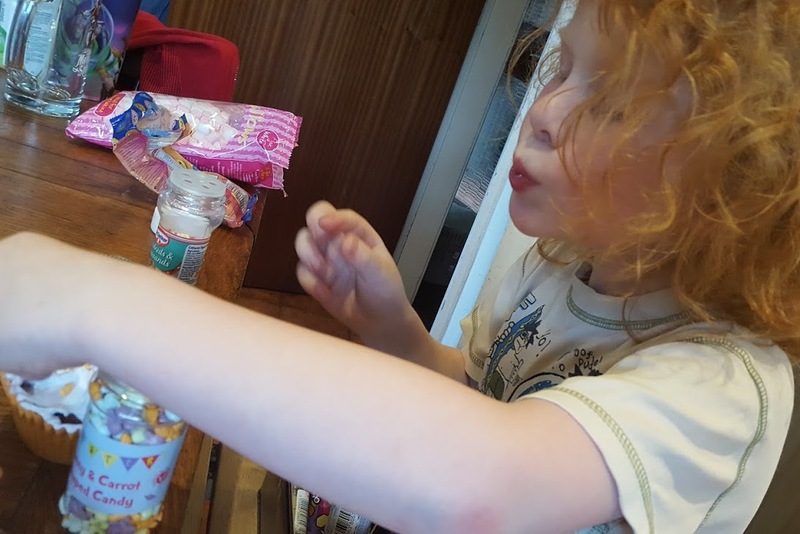 Chopped wafer biscuits/Kit Kat/chocolate fingers for the ears. Weigh the eggs. 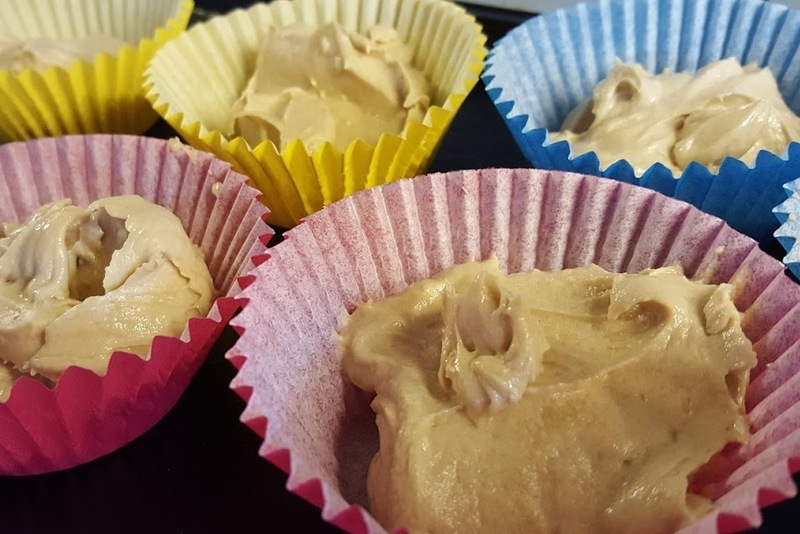 It'll likely be around 110 -140g, and is the weight you'll use for the 3 other ingredients. Take the same weight of sugar and butter and cream them together. Add the eggs slowly, if the mixture starts to curdle add a tablespoon of flour. Add the same weight of self-raising flour. Spoon the mixture into cupcake cases - you'll make around 8-12 depending on the size of the cases. Bake for around 18-22 minutes until golden brown, well-risen and the cupcakes spring back when you press a finger into the centre. Using a teaspoon scoop out a portion in the middle so that your ice cream won't just slide off the top. Add a scoop of ice cream and pat it down. Add decorations, eyes and ears. I wanted to make them look as close to the real thing as possible, but my head chef had his own ideas, so lots of our Num Nom Ice Cream Cupcakes had mini bunnies and carrots. Look at the concentration on that face! The eyes are there, honest. 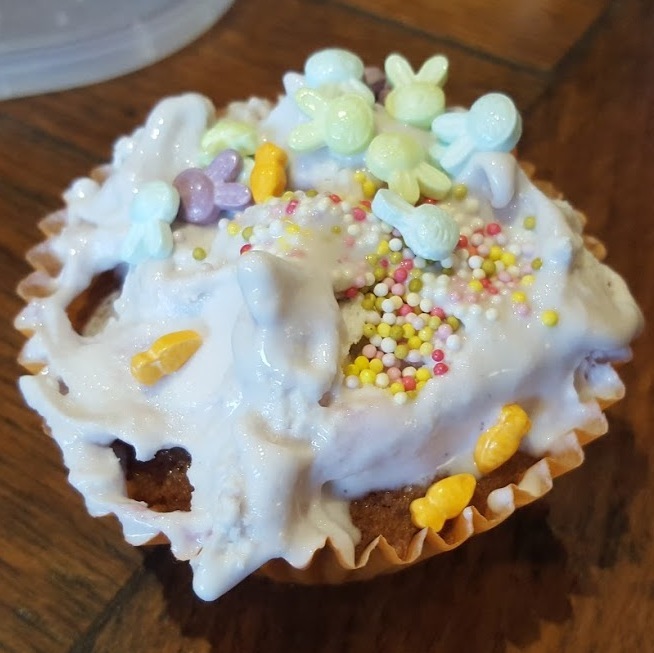 They're just hidden under sprinkles and bunny rabbit decorations. It's actually easier if the ice cream is just beginning to melt and you can smoosh it down a little, but you will have to be quick with your decoration. We experimented with chocolate ice cream first, but our 'eyes' were chocolate drops, and although it was tasty, it doesn't give such an effective result. Using strawberry sauce does not look as good as you'd hope. 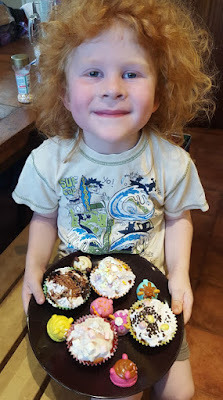 Everyone agreed they were delicious - and my mini chef was right to be proud of his work. Perfect for a hot Summery day (hopefully we will get some more sun this year!). 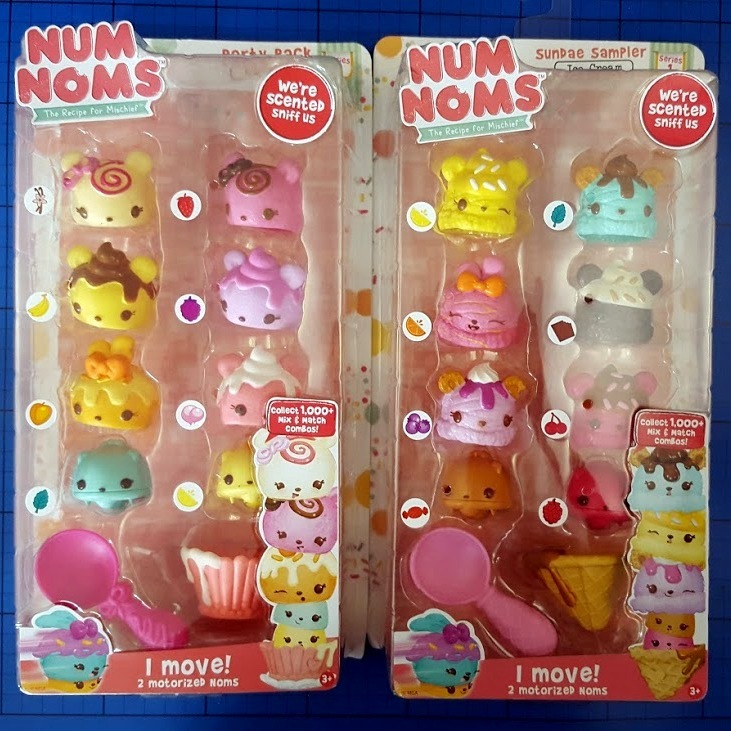 Num Noms are suitable for children aged 3+ and are available to buy now. The Deluxe Sets have an rrp of £14.99. There are also Mystery Pots costing around £2.99, Starter Packs (£8.99) and a Play Set (£24.99). Cooking with your children broadens their understanding of how food is made, use of tools and equipment, and encourages them to try new things. It helps with hand-eye co-ordination, motor skills and science, including maths skills such as counting and weights and measures. It gives them skills to last a lifetime. It is also a great way to spend quality time with your child doing something fun and talking, learning more about each other as you do it. 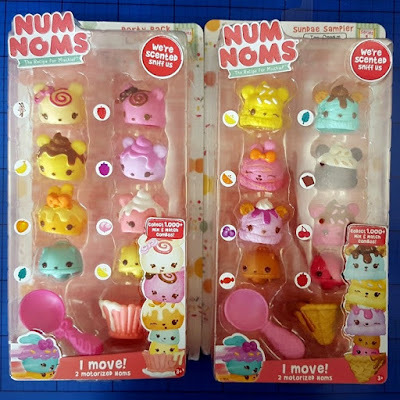 We were sent our Num Noms for this post.